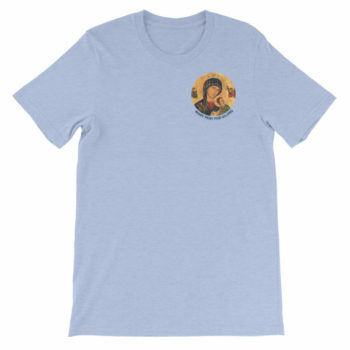 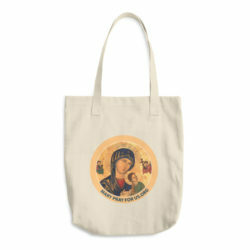 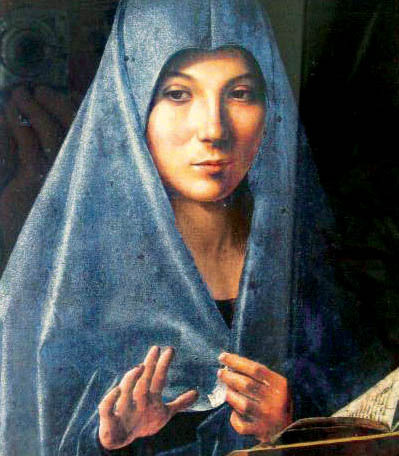 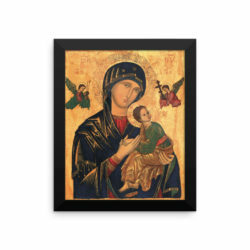 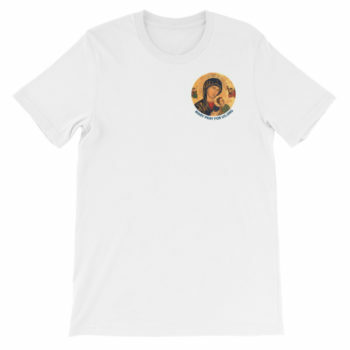 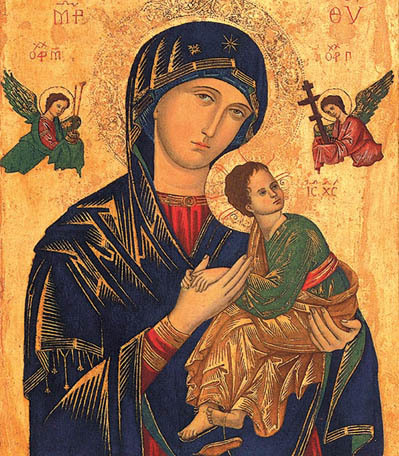 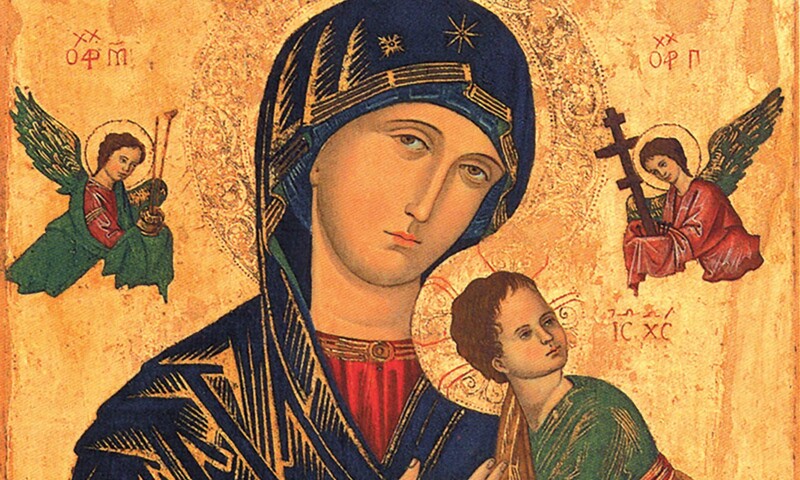 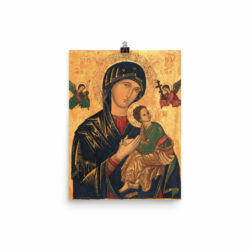 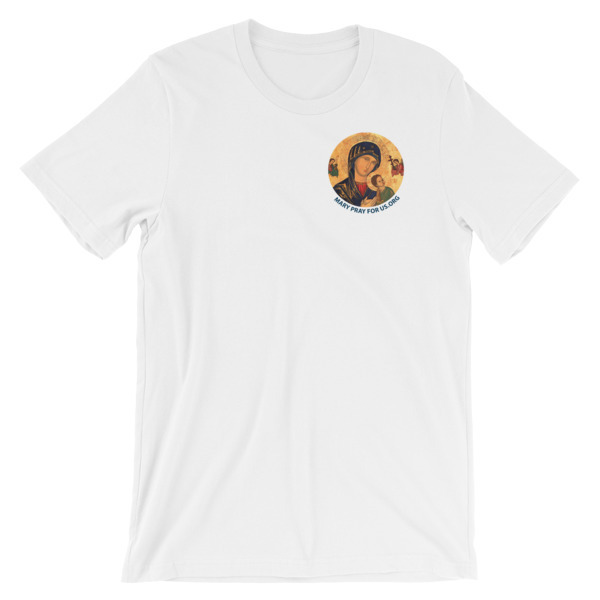 Proudly display Our Mother of Perpetual Help throughout your day! 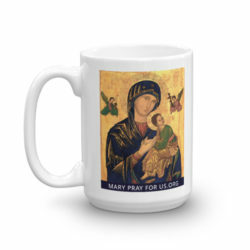 This is the perfect tool for evangelization. This super-soft, t-shirt looks great on both men and women – it fits like a well-loved favorite. Made from 100% cotton, except for heather colors, which contain polyester. We are requesting a donation of $29 plus shipping.